(Courtesy photo | Grand Canyon Trust) The Wayne Wonderland in Fishlake National Forest is among 4.2 million acres of roadless areas in Utah. Gov. Gary Herbert is asking the U.S. Forest Service to relax protections on much of these timbered lands. Considering the current pressures on the natural world, it is often harder and more confusing to talk about the natural world than one may believe. There are many questions that arise, yet the answers are different for everyone, which makes this discussion difficult but interesting. Within this discussion are the questions of who gets to do what with the land and the resources, who has access to it, and who is lacking access to it. Growing up in the West, I have been exposed to public lands that are wild, healthy and seemingly endless, that provide amazing recreation in an array of forms. These public lands have become a part of me and, until recently, I was unaware of the vast amount of protected lands that are in jeopardy. Ultimately, public lands are available for all to use, yet in specific areas there are restrictions ensuring the prolonged safety of the environment. Often, these public lands found across the United States are held to federal levels of protection in differing degrees. When these lands are federally managed, individual states are required to maintain the level of protection mandated by the federal government. As the natural world feels increasing stress from various factors, it is important the areas currently protected under federal law remain protected. Unfortunately, on Feb. 28, the state of Utah petitioned the U.S. Department of Agriculture to turn a federal rule protecting 4 million acres of national forests in Utah into a watered-down protection plan as pieced together by Gov. Gary Herbert. As a college student in an environmental studies program, I am concerned, because this decision is not for the betterment of the land, the people of Utah, nor recreation. Federal protections are in place to protect the forests, allow recreation and provide unaltered, high-quality ecosystems for all. If these protected and roadless areas lose protection, they will greatly change. The 4 million acres of National Forest Roadless Areas are vital to Utah and to the Western United States. Decreasing the levels of protection puts these places in jeopardy of being altered. It is a disgrace that Herbert is rushing this process without seeking input from the general public. Herbert wants to change the Federal Roadless Rule into a Utah-specific rule allowing him to develop and extract the forests, as they will no longer be federally protected. This transition will endanger the health of ecosystems that bring beauty and recreation in Utah forests that have been protected by the federal Roadless Rule since 2001. I find it ignorant and barbaric that the governor wants to decrease the amount of federally protected land in this state. These lands provide locals and tourists with incomparable adventure, pleasure and places to feel small in our natural world. Additionally, they aid in maintaining a healthy and diverse ecosystem. The loss of protection and the addition of road construction will lead to the demise of many areas. The simple fact is this issue not being covered enough. Why hasn’t there been public comments? Why are the people accessing roadless areas in Weber and Salt Lake County not publicly informed? This and first-hand experience make me believe that the governor’s office is pushing this petition discreetly, and likely with ulterior motives. I have to stand my ground to protect these public lands because they are worth so much more than money. Say no to Herbert, and say yes to the current Federal Roadless Rule and the pristine ecosystems it protects. It doesn’t matter who you are or what you enjoy doing, if this rule is changed it will be a tragic loss. Commentary: Roads? The way Monroe Mountain is going, we don’t need roads. 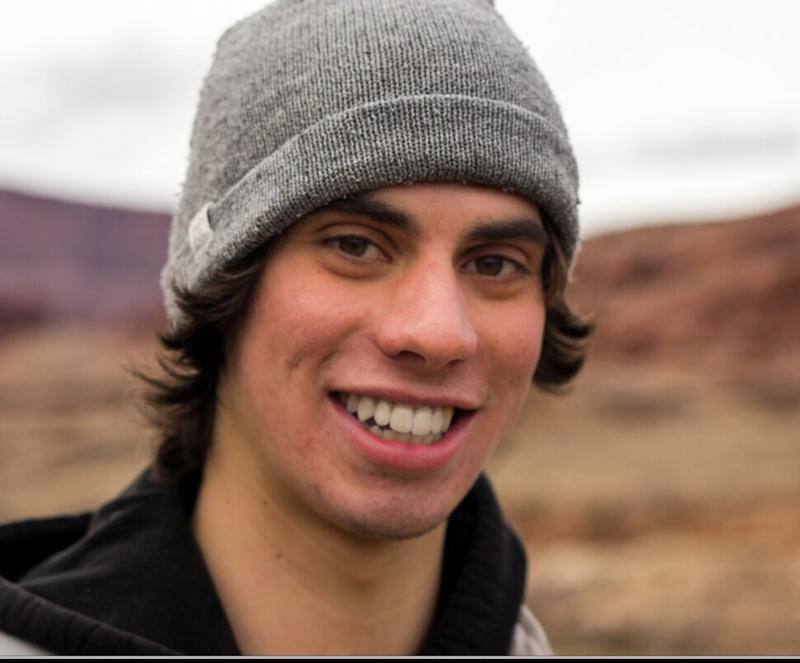 Tanner Josey, was born and raised in Hailey, Idaho, and is now a senior at Westminster College, Salt Lake City, majoring in environmental humanities with a minor in outdoor education and leadership.